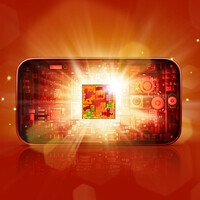 What do football games and high-end mobile chipsets have in common? Well, not much if you think about it, yet one well-known chip manufacturer has decided to use the States' most popular sports game to its advantage. Starting December 18 through December 28, the Qualcomm Stadium in San Diego will be known as the Snapdragon Stadium. Over the ten-day period, the stadium will host three football games: the San Diego Chargers vs the Baltimore Ravens, which took place yesterday, The San Diego County Credit Union Poinsettia Bowl on December 21, and the Bridgepoint Education Holiday Bowl on December 28. The transformation of the sports venue is a part of Qualcomm's marketing campaign, which is aiming to spread awareness of the Snapdragon series of chipsets and the mobile devices that use them. The company also hopes that the campaign will help people understand how Snapdragon processors enable smartphones and tablets to handle HD videos and console-quality video games without having a tragic impact on the device's battery life. What do you, guys, think of Qualcomm's marketing? Wouldn't it have been better if they had come up with ideas as cool as Nokia's instead of targeting football fans? Feel free to share your opinion in the comments below. I think its a good marketing idea targeting sports fans, and what sport better to target than the fans of the biggest sport in the US, if I'm not mistaken. . .
Yeah.. The only thing missing is Nokia and Microsoft giant Windows Phone.